Today has brought with it a spate of new information on Sonic Mania, which has been officially confirmed for worldwide release on August 15, 2017 for Sony PlayStation 4, Microsoft Xbox One, Nintendo Switch and PC, the latter of which can now be pre-ordered through the Steam store. Pre-order prices start from $19.99 (£13.49 on the UK store with a 10% discount), and include pre-order bonuses such as avatars and themes for the likes of PS4. Additionally, the launch trailer shows off animation created by Tyson Hesse (confirmed as the artist of the animation shown here last month), with music from Hyper Potions, in addition to footage of yet-to-be-seen zones and bosses. As always, TSS will keep you up to date on news as it comes! Also: check out this new Eggman key artwork! WOW, never mind the release date and price, I am just amazed at the animation, and if there are cut scenes like that in the game day one purchase for me. *at the end, excuse me. That’s what I was thinking. Wouldn’t be surprised if the Homing Attack was included as an optional move in the options screen. DUDE DID YOU WATCH THE TRAILER THERE IS A REIMAGINED STARDUST SPEEDWAY!!! SO DON”T BE SAD. There isnt any preorder content is there? only if you pre-order at GameStop. I liked the reference at the end, where the elevator represented the classic genesis games, with the last floor standing for M for Mania. I wish they hid a CD floor button on that elevator though, it seems kind of unfair to refer to mania in that, yet act like CD never happened. Sonic CD may not have been on Genesis, but it was still released around that time period, and is considered one of the Sonic classics as well. Hey they might not have added CD to the elevator scene but the game itself has Stardust Speedway, from Sonic CD, in it. 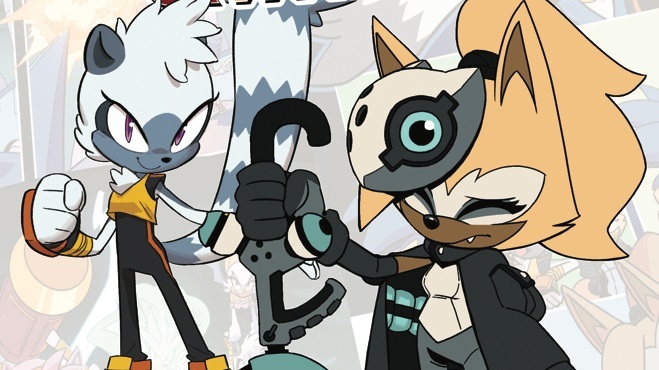 So of course it’s part of Sonic’s History, that’s when Amy and Metal Sonic were introduced. Though I do wish they would show/tell us when the hell it takes place at. That’s easy enough. Before 2. Tails wasn’t in it, except for a “see you next game” screen, likely because CD was originally supposed to be released before 2, as I recall. Tails has been in every game after 2, so chronologically it would be before they met. Well yeah, but then again, in the Japanese version of Sonic 2, after the events of Sonic 1, Sonic got on his plane and went to West Side Island for more adventures, with Eggman following after him. It didn’t say jack about CD anywhere. I always thought it took place between 2 and 3K. I remember reading that after Sonic 2, Sonic and Tails went their separate ways, and while Sonic was saving Little Planet, Tails was off in Tails Adventure/Skypatrol. Then they met back up again, and went to Angel Island for Sonic 3&K. But why would they split up? And I feel like Sonic 3 was intended to take place right after 2 since it’s all about relaunching the Death Egg. I think that’s just fanon, or extra material that might not hold water. Continuity-wise – and man, this is a hell of a no-prize discussion if ever I saw one, but hey – there probably wasn’t much going on in between 2 and 3&K, if only because Sonic still had the emeralds during the opening cutscene, as he went super. Not to mention Sonic CD just slots in nicely between 1 and 2. There are no conflicts, nothing that needs to be explained away, Sonic CD’s levels were heavily modified riffs on 1’s levels, Tails isn’t there yet, neither is the plane (he runs up a chain to get to Little Planet in the opening cutscene, after all) and there’s no need to explain away why he isn’t carrying the chaos emeralds in CD like he is at the start of 3.
omg I think I’m hyperventilating from the excitement. assuming i have the money, i’ll get it on steam but console will have to wait for a physical release before i consider it. Don’t count on a physical release. What I will say is that Sega has done a very good job of marketing this game compared to other recent entries. (Particularly Sonic 4.) The trailers have been very well done and do a good job at showcasing the game. Hopefully Sega will learn from their successes here and apply them to future marketing campaigns. Collect no Chaos Emeralds, and unlock the secret final boss! Super Robotnik! Is it wrong to hope that this game includes the original Genesis titles and that the ‘elevator’ sequence suggests the ability to choose your game? I remember early on wishing the game was simply an amalgamation of the ‘classic’ titles with new levels mixed in. Too long, you say? Hence the ‘Mania’, I would reply. . .
Hmmm. Is it possible that this game is going to contain entirely reimagined versions of each Sonic games as opposed to just levels? That would certainly explain why the old levels outweigh the newer ones. I dunno. Just guessing! Pretty sure the elevator was purely meant to represent “taking things to the next level” in terms of Classic Sonic, with prior classic games being shown there as an acknowledgement of what came before. It’d honestly be too much for a $20 game to have that much content in there as you’re suggesting. You may be right. However, it would not be unwise to include the Genesis games (in their original form), as they are essentially abandonware now and it would cost very little to do so. [In light of these observations, I respectfully disagree with your assertion that the price point would be too low.] Perhaps more significantly, it would guarantee sales of the game among a certain subset of fans. Beyond that, it would not be unprecedented to raid the vault for a ‘compilation’ title and we are about due for such a cash-grab given the glut of new hardware environments that have little or no classic Sonic representation. It is genuinely onerous for those that do not maintain (at this point) vintage gaming equipment to play Sonic 3 and Knuckles at all for example. Of course, my final argument is that anything less would fail to live up to the current marketing rhetoric, hailing ‘the ultimate celebration of Sonic’s past and future.’ Granted, such advertising schemes tend to employ hyperbole and there certainly is no strong or even implicit indication from SEGA that Mania promises to include full versions of the original Genesis titles. Even so, I can still wish that it will. Who here wants a Sonic film done in this 2D animation?!!! They already have in the form of the OVA. At night I dream of you! It’s Eggman. 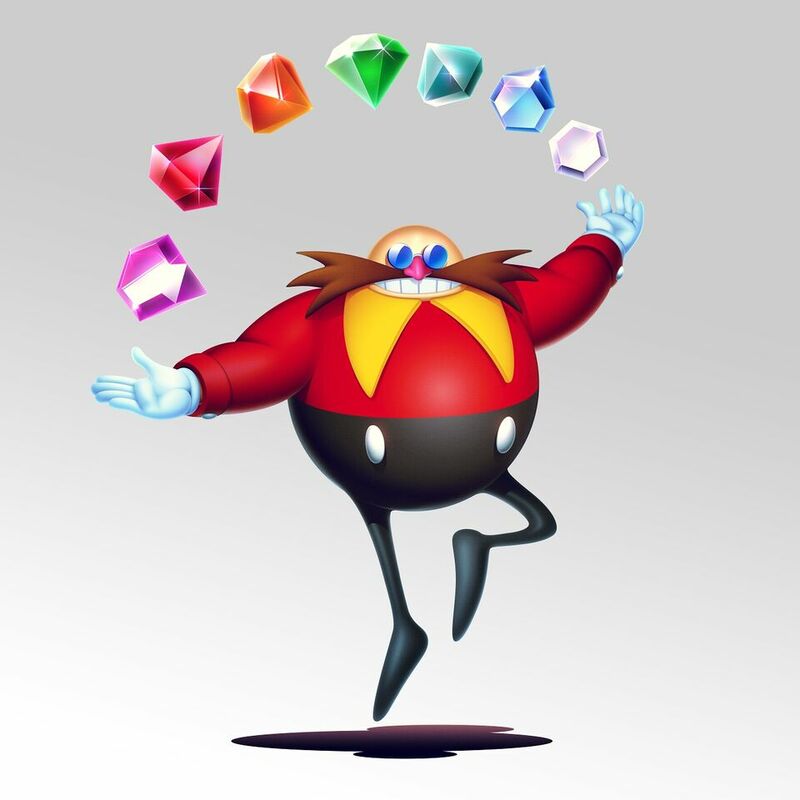 “Robotnik” only exists in the old cartoons and comics. Love the animation, and the soundtrack is great and really fitting!